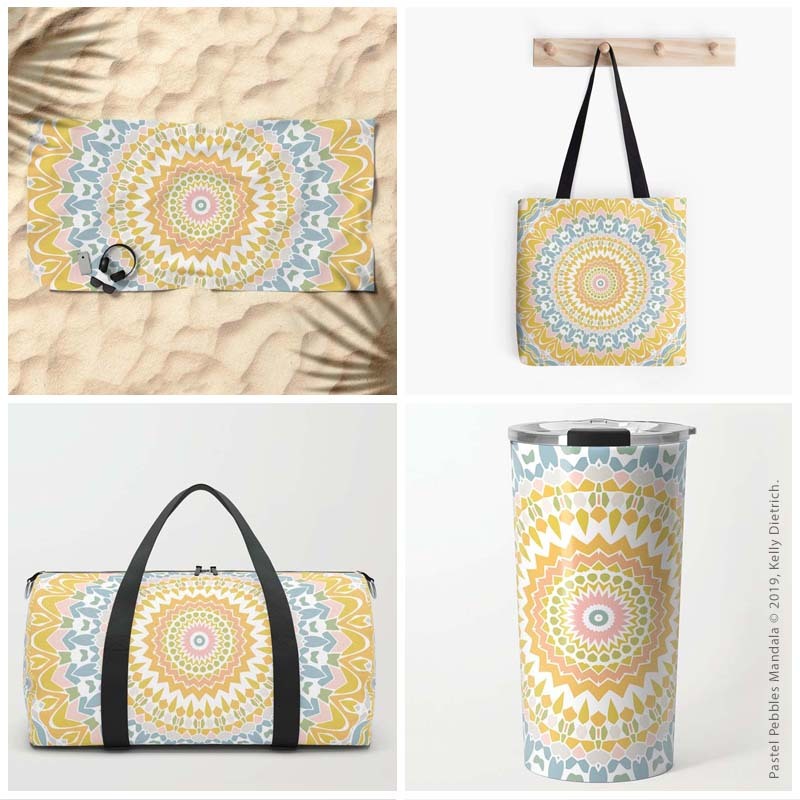 White Lace Mandala on Pink, Purple & Yellow Beach Towel available in my Society6 shop. My White Lace Mandala on a Purple and Pink Background is currently featured in a collection of mandala artwork curated and presented on the Society6 website. (yay!) The image, shown on a beach towel, is part of several mandala artworks chosen for the collection. Prints and products of this mandala may be purchased here.